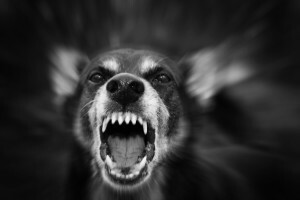 But after one dog named Pappy killed a neighbor’s poodle and attacked its elderly owner, Animal Welfare ultimately handed over the dog to a private animal rescue group, which isn’t required to report where he is now. Another animal, Mugsy Malone, went on to attack a three-year-old girl. After the attack, the dog was never put down, he said. There are definitely some issues with this article — while the dog’s listed breed may have been altered to make it more adoptable, focusing on the breed (implying that the dog’s aggression was due to it being a pit bull, and links to two sensationalist articles on pit bulls) rather than the dog’s behavior is problematic. This, however, should not cause us to lose sight of the main — and very serious — issue of dangerous dogs being adopted out to unsuspecting families. With the news cycle moving as fast and furious as it does nowadays, it could be easy to miss these important findings: in two recent studies, the antiviral drug, Truvada, was 100% effective in preventing HIV infection in several hundred high risk individuals, and it reduced infection by 86% in others. Step back for a moment to take that in. Do you remember where we were in HIV treatment 20, even 30 years ago? This promises to be an extraordinary step forward. Now, of course this pill is not perfect (“It’s no magic bullet,” as you may have read in the Newsweek piece), and there are numerous known side effects, but overall, these are extremely promising findings that bring us a step closer to controlling, and eventually eradicating this terrible disease worldwide. Now, why are we talking about HIV if we are all about animal issues at NAIA? Well, that is simple enough: this medication, and many like it would not be available without necessary animal-based research. This is a vital, but often glossed-over fact when new breakthroughs are achieved. So while we celebrate advances in medicine that improve the health of humans and animals alike, it is important to acknowledge the positive role that animal-based research continues to play in all of our lives. San Diego Humane Society takes custody of 29 dogs from the Korean meat trade. So if humane societies are so hard up for dogs to adopt that they are importing from overseas, is it safe to assume we have solved all of our domestic pet problems? If so, the humane industry should quit pushing ordinances putting regulated, American sources of pets out of business.